The secret of that special beauty lays in quite a wild mixture of the East and West. It is not only that throughout the last 2000 years all kind of folks have been living in or invading Russia (Proto-Indo-Europeans, Early East Slavs, Mongol invasion, Germans, Scandinavians and others), even today there are over 100 official nationalities living there with 27 languages being co-official. Russia is being the true melting pot since centuries and therefore the results – pretty mixtures of eastern and western features: high cheek bones (which is worldwide one of the beauty-signs), round face, certain softness of features, fair skin, green/blue/grey eyes and mostly dark-blond or dark brown hair. Figure: most of the Russian women have the so called “pear” or “sand-clock” figure which is a sign of the high level of female hormone Estrogen. That makes them look feminine and – naturally – appealing for men. In the western countries it is often the “apple” figure that is typical for women and shows the higher level of the male hormone testosterone. Russian women have the bearing power. They can bear a lot. They bear the stupid and horrible drinking of their men – the drinking these men are so proud of. They bear the men who beat them, because when these men are drunk they want to beat… They bear all that for a long, long time. Many – for their lifetimes. But many want another destiny. They want a western foreign husband who will take care of them. 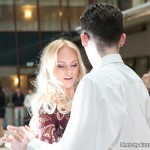 No wonder that agencies or dating websites dealing with Russian brides are blossoming since last 10 years. Russia is a feminine country according to the science of Intercultural Communication. Masculinity vs. femininity – refers to the value placed on traditionally male or female values (as understood in most Western cultures). So called ‘masculine’ cultures value competitiveness, assertiveness, ambition, and the accumulation of wealth and material possessions, whereas feminine cultures place more value on relationships and quality of life. That explains a lot why Russians, especially Russian women are very caring and supportive, gentle and motherly. Russian women are strong. In every sense of this word. The most quoted and favored description of a true Russian woman: Would enter a house on fire, / Would hold up a galloping horse (A famous verse by Nekrasov, 1821-1877, “There Are Countrywomen in Russia…” ). They are strong in bearing things, in forgiving, in struggling for their and their families survival, in keeping themselves beautiful despite the worst life conditions. But above all – they are strong in showing their weakness, especially in relationship to their men. While Western Feminists apparently refuse their female nature and reject the male nature, Russian ladies cultivate their praised Femininity. The Former Soviet Union management saw women`s “Elevating Function” even above their own all-bearing diligence & discipline, as the reason to include women into any male work teams! Today of 1,130,000 Russian military, 8.5% are women. If we take all power departments, women make 12.5% of 4,000,000 staff. All brunches are represented with an emphasis on strategic rockets. Beauty and skill contests publicize the image of girls in the uniform. Apart from being beautiful and strong, Russian women are very well educated and hard working. Literacy and education levels among the Russian population (142 million in 2005) are relatively high, largely because the Soviet system placed great emphasis on education. Some 92 percent of the Russian people have completed at least secondary school, and 15 % have completed some form of higher education (university and above). Women make up more than half the work force. Russian women have never really fought for their emancipation – it has always been clear to the rulers that women are the power, and women have been given many rights their western sisters would dream about for decades. 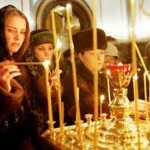 Russian spirituality is different from the Indian or the Western one. In the absence of the church/temple/mosque people had to seek God in their heart. Russian spirituality is again very “female”: true compassion and forgiveness (any not hypocritical as in some cultures) are being lived there. Another interesting point is the Russian Christianity – since the establishing of it Russians tend to worship the Mother of Christ, Bogomater`much more than Christ himself. 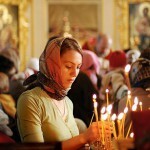 The topic of worship / respect of a mother (physical or the Virgin Mary) is widely spread in the Russian culture. Thus, the feminine core of a nation has an impact on a woman being respected as a spiritual being. In my article Spiritual aspects of feminine beauty I mentioned already that “The attitude to the feminine beauty, to the womanhood itself has a long Christian history in the West. The woman has never been that much seen as the beautiful creation of God. The more so, it has been since millennia deeply programmed by the priests that a woman is an evil herself, a torn on the glorious path of a man. This disrespectful attitude to the womanhood had brought its fruits as a feminist movement in the 20th century, with all these millions of western women desperately crying for love and adoration…” Obviously that was not the case with the Russian women who could live their physical, emotional, intellectual and spiritual self. What you will probably miss in the Russian woman is the joy, the fun, the hot-blooded passion. However, instead, you will find – the certain sadness, mystery, deep love and compassion, tenderness and dedication. Also, “the Russian” eyes – open, candid and a bit melancholic. Reflecting the everlasting struggle between the Western mind and the Asian soul, the eyes of a lost child. The beautiful creation of God. The more so, it has been since millennia deeply programmed by the priests that a woman is an evil herself, a torn on the glorious path of a man. Revealing the secrets – What is so special about Russian women?